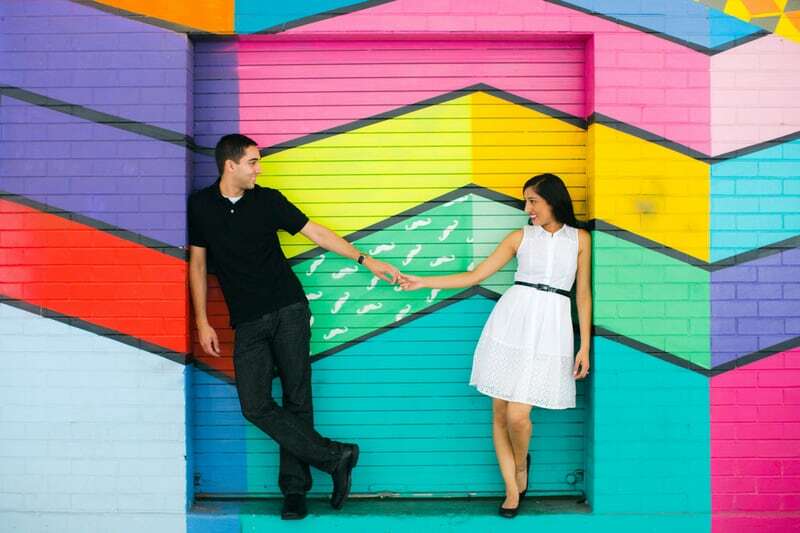 THIS COUPLE WENT ON A COLOURFUL WALL CRAWL FOR THEIR E-SHOOT & FOUND A GIANT BALL PIT! “Ritika and Raj are a silly, sweet, fun, thoughtful couple. Their love story started at George Washington University in Washington, DC (Go Colonials!). As college sweethearts they have watched one another grow and seen the ups and downs of the transition from college days to adult life, which for these two go-getters includes a full-time job as an analyst and medical school. Since Ritika and Raj’s love story unfolded in DC, it was only natural that their engagement session take place there as well”, photographer Amy Gray told us. This lovely couple really enjoys their engagement shoot!